During a recent sunny weekend, I had the opportunity to take a couple of test shots against a nice blue sky and check the extent of vignetting with the new Nikon 600mm f/4 E Fluorite lens. I had noticed before that the 600mm does vignette with a TC-14E III teleconverter attached on my trip to Alaska, as also reported on various photography forums. 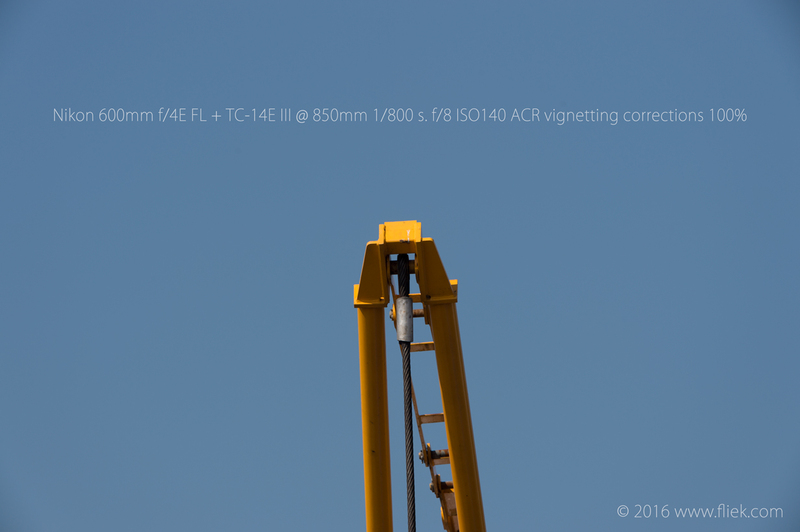 Luckily I still have the ‘old’ (TC-14E II) next to the new TC-14E III teleconverter and so I decided to do some comparative analysis: how bad is the vignetting with both teleconverters, and how easily is it corrected? And what about vignetting without a teleconverter? For those of you who are not so interested in apertures, shutter speeds, vignetting and other photography ‘tech talk’, just skip to the end of this article for a nice image I took in Kootenay National Park, British Columbia, Canada about 4 years ago (and took me 4 years to post, more on that below…). So let’s get started. First, the standard configuration for those who need that extra reach: the 600mm + Nikon’s latest TC-14E III teleconverter. As expected, and reported, a rather nasty vignette that requires some post-processing correction. I’m using Adobe’s Camera RAW (ACR), part of Adobe’s PhotoShop Creative Cloud. Now, one would expect: newer versions of technology are better compared to their older versions, right? 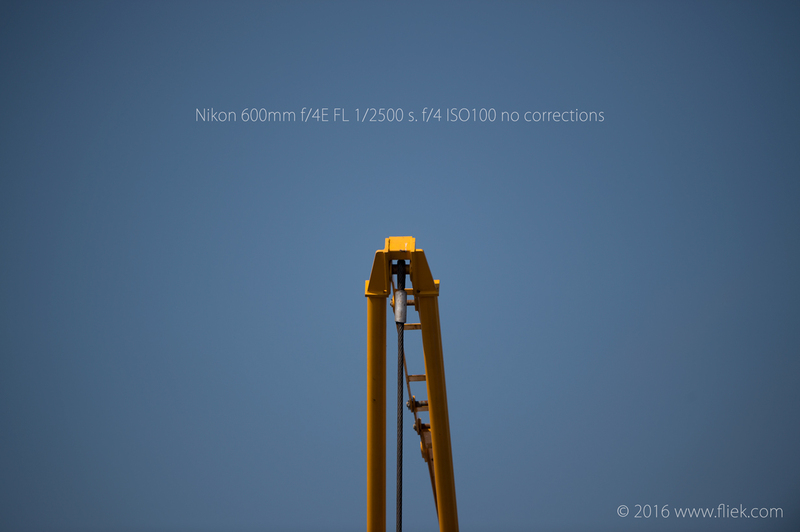 Just like the new Nikon 600m is expected to perform better against the older – which I’ve written about earlier, etc. So surely, the old teleconverter would not outperform the newer (and more expensive) version, right? Wow, vignetting is pretty much gone, shot wide open at f5.6. How about stopping down to f/8? And so it is! Vignetting is pretty much gone. So where does this leave us? Yes, the new Nikon Nikon 600mm f/4 E Fluorite lens does vignette with a 1.4 teleconverter attached. Is this related to the 600mm f/4 lens or the teleconverter? Or both? 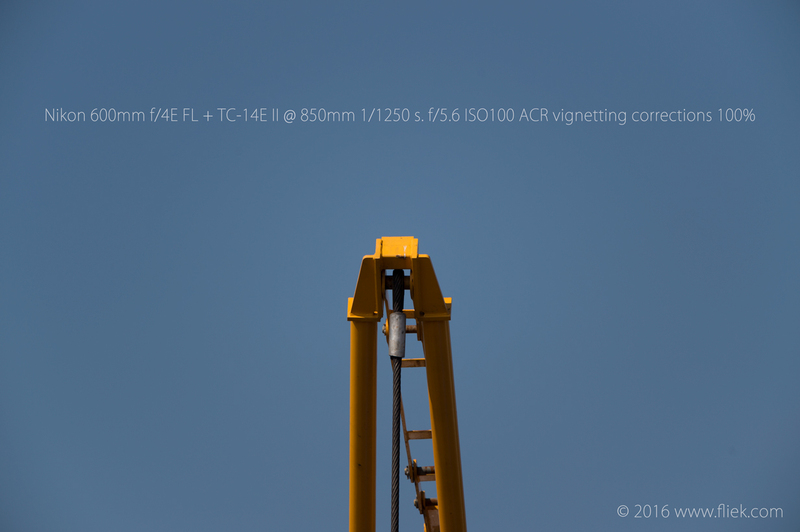 Well, the test shots above demonstrate that the vignetting is at least partly due to the TC-14E III teleconverter. The older TC-14E II produces less vignetting, and it is more easily corrected in post-processing. 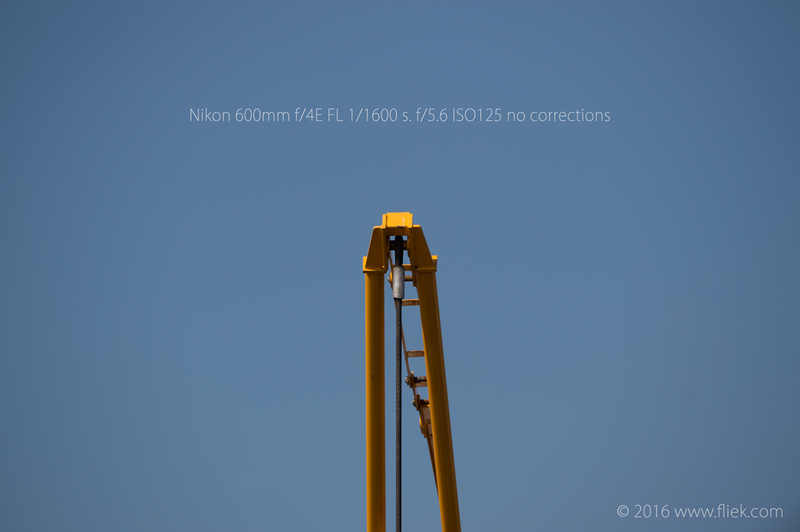 But this means that Nikon has created a newer version of its 1.4 teleconverter with less quality. By the way… I did also check for sharpness differences in the images and I couldn’t find any. Why on earth would such a high-tech company come up with new technology with reduced quality? If anybody has the answer, I’d be very keen to hear and understand! Definitely visible vignetting, however quite smooth and expected to easily correct in ACR. And indeed; vignetting pretty much gone after applying the corrections in ACR. What about the differences between wide open (f/4) and f/5.6? Vignetting is visibly less compared to f/4, and still ‘smooth’ so expected to be easily removed in ACR. Exactly, just minute traces left of vignetting after playing around in ACR. 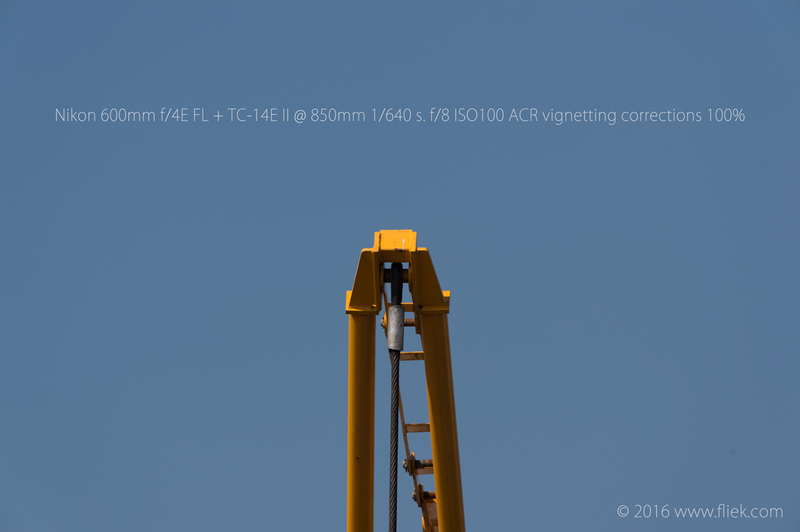 The Nikon 600mm f/4 E Fluorite lens vignettes when shot wide open. 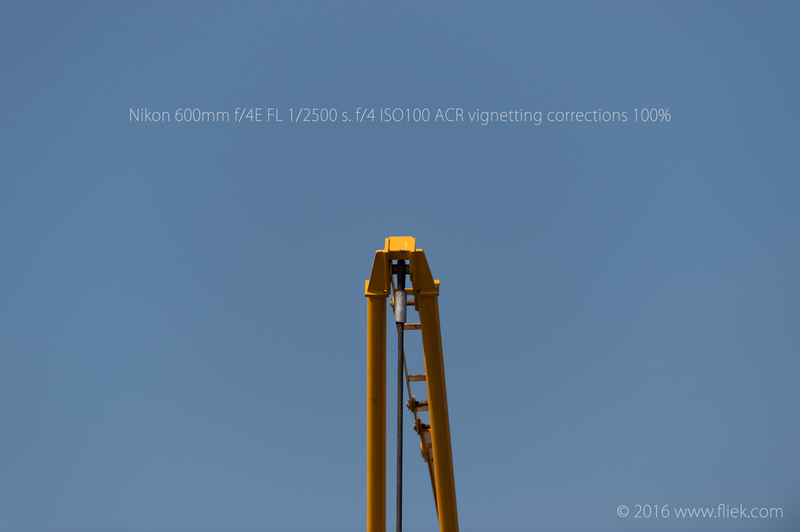 Vignetting is also visible when a 1.4 teleconverter is attached. The new Nikon TC-14E III teleconverter leaves vignetting traces that are impossible (very difficult) to remove in post-processing (I’ve also tried Nikon’s Capture NX-D with similar results). 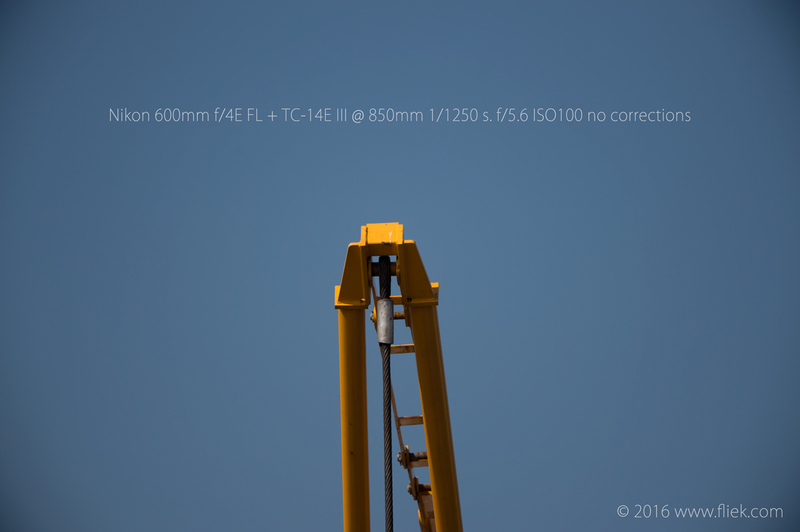 Surprisingly, the previous teleconverter model, TC-14E II, produces less/’better’ vignetting which is easier to remove in post-processing. Vignetting in images shot with the Nikon 600mm f/4 E Fluorite with or without the old teleconverter (TC-14E II) is easily removed in post-processing. And… now for the bizar conclusion: to me it seems the new Nikon TC-14E III teleconverter is of lesser quality than its predecessor, the TC-14E II. Perhaps a harsh statement, but how else can this be described? I will seriously consider taking the TC-14E II with me going forward and use it when I need to reach 800+mm. The TC-14E III will stay in the bag (or I’ll sell it…). Now for the image below: this bad boy (or girl) was walking close to the Kootenay highway back in 2012 (or thereabouts) when I was driving there with a well-known Canadian professional wildlife photographer. 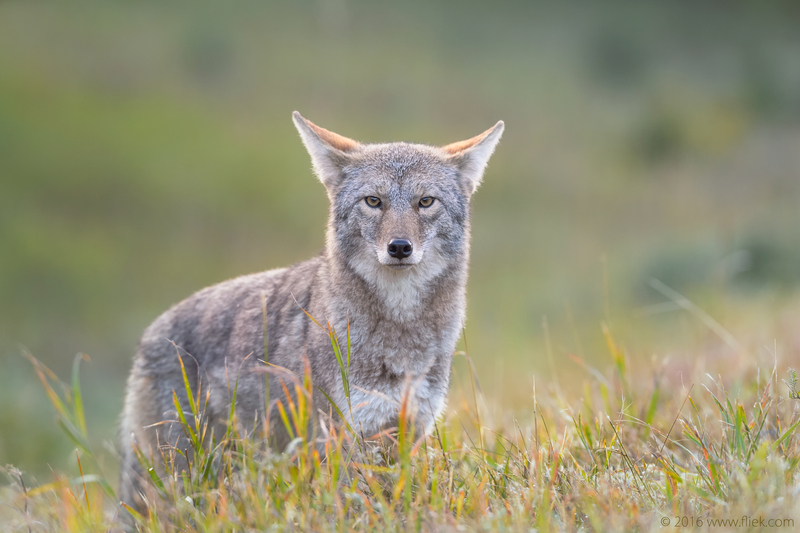 In fact, he spotted this coyote first and stopped the car after we took our gear and started to take our first shots. I had my (new) Nikon D4 and my (also new) Nikon 400mm f/2.8 G AF-S ED VR lens (the ‘previous’ model). It was early morning and some of my shots were OK, some were horrible, and some were nice except for the totally failed white balance. I guess the D4 had a hard time with the greens of the fields, blues from the sky, and brown/reds of the coyote against the early morning sun. Henk, thanks for information you provided. I have the TC-14E II and really had no plans to “upgrade”, however, I have wondered if a difference could be seen between the “old” and the “new”. The info you provide shows there is, indeed, a difference and I will no longer even wonder if the III is better in any way. Before I ask my question I have to say that is a gorgeous photo of a beautiful animal. Well done. A little background before my question. I see you had the previous Nikon 400mm but now have the new 600mm. I don’t have either yet but have been leaning toward the new 400mm for its f/2.8 aperture and what I perceive to be its versatility with converters. I live in NE Ohio where we have many overcast, gray days where I think the large aperture would be nice to have to keep shutter speeds up and ISO values down. I tend to shoot a lot of birds because they are what we have most of in the way of wildlife. I currently use the Nikon D750 and plan to get the D500 as well. My two most used lenses currently are the new 300 f/4e and 200-500 f/5.6e. Hi Dave, thanks again for your feedback and compliments! Hi Henk. Wow, thank you very much. I knew I was asking a lot and hesitated doing so because I usually role my eyes when I see a similar question asked. It’s usually in the form of, “Which one should I get?”, which is not what I’m asking. I’ve been looking for info but have found very little to address the actual field use of the two lenses vs each from people who have actually used both. It’s either 500 vs 600 or a 400 review by itself or a 400 review vs what they’ve read others say about the different lenses. I’m just really curious as to your thoughts on the two based on your use of them in the field. I hope that helps and thank you very much for your time. Hi Dave, you’re right: reviews often focus on lenses alone and do not include the context of actual usage in the field. That’s why, for example, that I wanted to analyze tripod usage of the 600 f/4 and the do’s and dont’s that come with it. In terms of comparative analysis: I’ve actually owned the 300mm f/2.8, the 400mm f/2.8, shot with the 500mm f/4 G and now own the 600 f/4 E, and have the 200-500 f/5.6 as well which I will talk about in the next post. I’ll try and put myself in your situation (usually not done as many photographers often state: “what works for me…”) and I should be able to provide you with some useful tips.